I love the fresh scent of papers emanated from a brand new book, but second-hand books are the true treasures with a bargain. Below are my three favourite places to get second-hand books in the city of Melbourne. 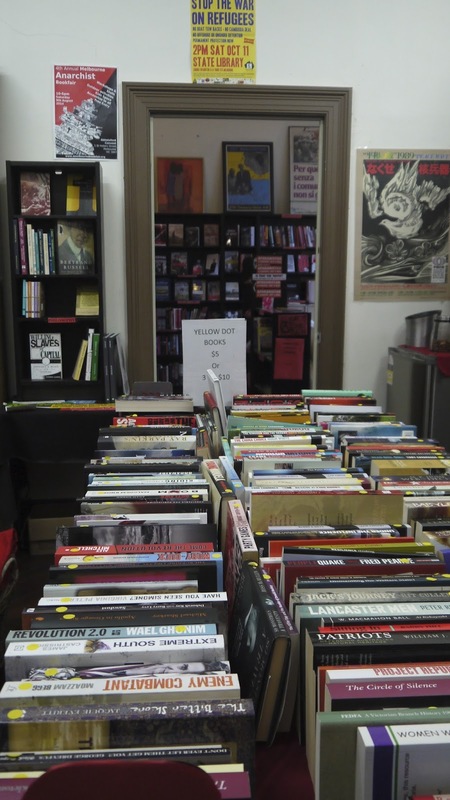 Located inconspicuously in the basement of an ancient looking Trades Hall, the New International Bookshop prides itself of being a faithful collector of “new and classic left books”, and its passion and close association with the left/ progressive politics. Granted that you might not be a fan of the trade unions or the socialist ideology, I guess that shouldn’t stop you from stopping by to purchase some good old donated second-hand books, with prices as cheap as $2! The bookstore has a $2 corridor with a large stock of second-hand books of all genres from novels, history, politics, art, cooking and even gardening! 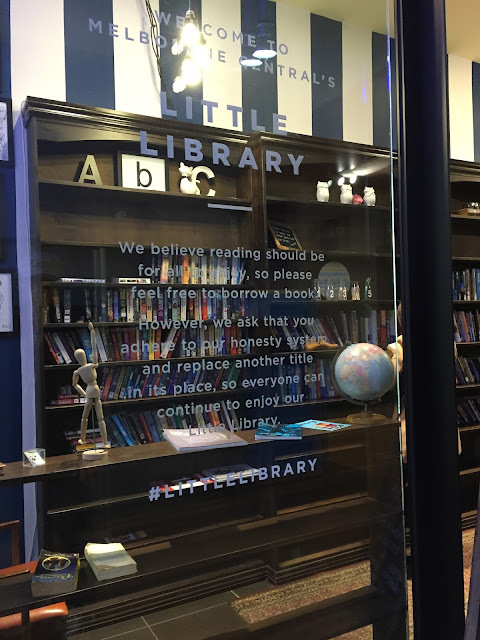 There is a separate second-hand room, equipped with a soft comfortable sofa, surrounded by a wide array of cheap old books ranging from $2 to $20 each. A few of my most awesome collections of books purchased from this secretive bookshop: a Jamie Oliver cookbook and a humourous travel novel from Bill Bryson. Borrow or take a book home without the need to fill out any lengthy membership registration form. A literary gem for book lovers to swap books; simply take one of your choice home, return it at your leisure or bring any old books from home for an exchange. The last time I went, there were plenty of Mandarin and Japanese books, amidst the great collection of English novels, recipe books and literatures of diverse genres. Level 2 Cnr LaTrobe and Swanston Street, right next to the Food Hall at Melbourne Central. This exciting event happens once a while, when the library was bursting with too many books (those that are no longer in the right condition for the shelves, haven’t been popular or that have been donated and can no longer be used). The last sale was held on 30 May 2015. All second-hand books of all types, fiction and non-fiction, were sold at the unbelievable price of $1 each! Do you know any other fantastic places to get a great bargain on books? Share it with us here!